Well-known as Google Play Music is, scores of users including you fondle admiringly it certainly. On computers, music can be played and listened from Google Play website while on smartphones and tablets from Android and iOS operating system. 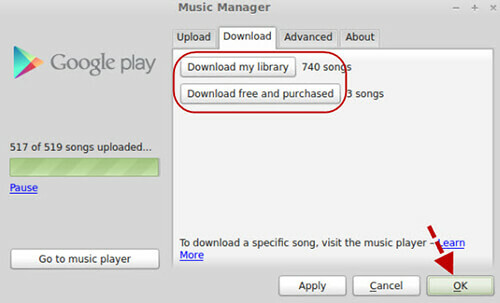 Nevertheless, its 2 downloads limitation for purchased music storage might let you down. To help you escape from this troublesome restriction and get music for non-stop offline listening, we here specially list 5 best Google Play Music downloader software for your check, which offer competence to record any music with ease. Google Play Music - What's It? 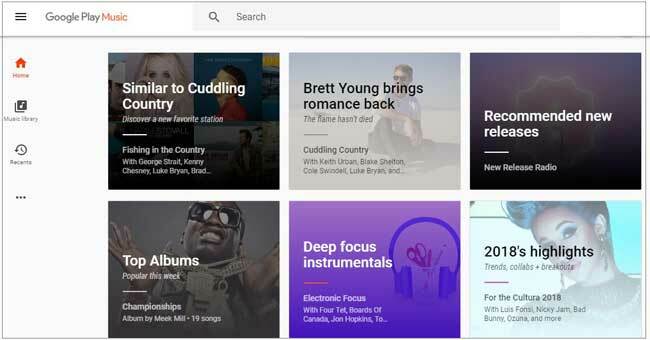 Operated by Google as a music and podcast streaming service, Google Play Music gives birth to all kinds of music tracks that are supported by renowned music companies, including Universal, Sony Music and EMI. Its users with standard accounts have right to upload and listen to up to 50,000 songs from personal libraries free of charge. For greater privilege, a paid subscription ($9.99 per month), users can have on-demand streaming of any music in Google Play Music along with access to YouTube Music Premium. However, if you want to download purchased music, you are only entitled to get 2 downloads each time, which makes it inconvenient to enjoy any favorite music offline directly. Hence, a Google Play Music downloader/recorder is required. Read on now. Joyoshare Screen Recorder is a recommendable Google Play Music downloader apk that enables you to record and download any Google audio file as MP3, AAC, WAV, FLAC, M4A, M4B, OGG, AIFF, etc. Or you can transfer whatever you grab to any desired output devices, like iPhone, iPad, Apple TV, Samsung, Xbox 360, PSP, Song TV, Blackberry Bold, Motorola Droid, etc. By means of this intelligent tool, you can at the same time capture system audio and microphone sound in perfect synchronization. To stylize music recorded and downloaded from Google Play, it's also available to setup codec, channel, sample rate and bit rate in the way you like. All that matters is that you are authorized to skip any unwanted sections and cut your recording to different portions in a flexible manner. Export recorded music to MP3, M4A, M4B, AAC, etc. 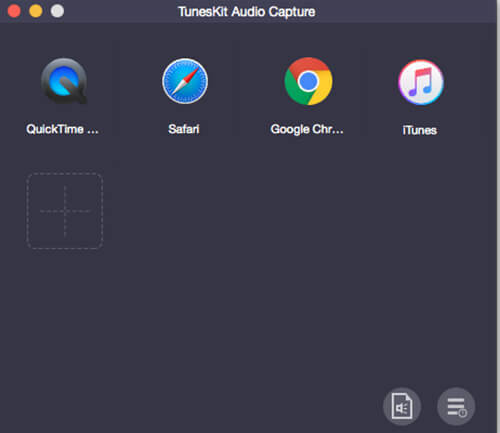 TunesKit Audio Capture is an all-round Google Play store music downloader, which is capable of recording all types of sounds on your PC with just few easy clicks, such as streaming music, movie soundtracks, in-game audio, live broadcasts, online radio, etc. Aside from browsers as well as web players, including Chrome, Internet Explorer, Safari, etc., it is also supportable to capture audio files reproduced by media players or other programs, like VLC, Windows Media Player, QuickTime, iTunes, RealPlayer, etc. 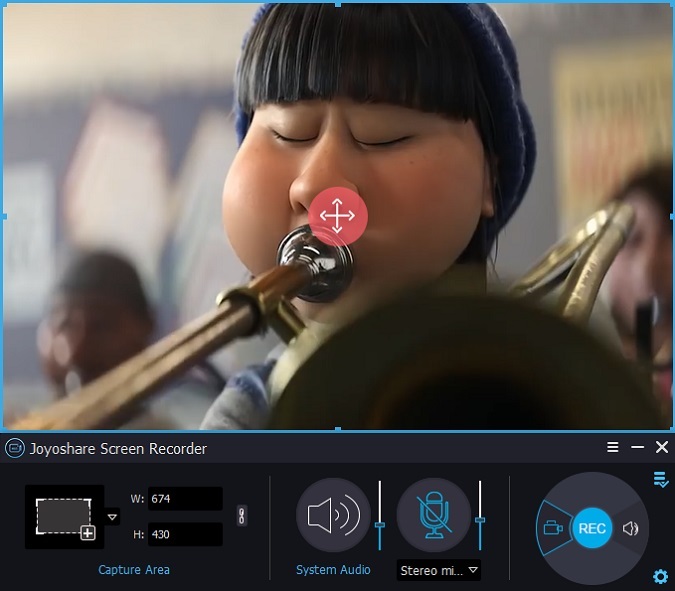 Essentially, this smart software can serve as a multi-track audio grabber to record several audio tracks simultaneously without mixing them together. To better manage recorded music, you can split, cut and mix them as per actual needs with its well-designed built-in editor. Record audio activity from browsers, web players, media players, etc. As the name implies, Apowersoft Free Online Audio Recorder is a free Google Play Music downloader you can straightly adopt. Considering it is a web-based program, you don't have to spend too much time installing it. Similarly, this forthright approach can be used to grab diverse input sources, for instance, streaming music, voice chat, radio stations, etc. Developed with broad compatibility, it empowers you to obtain audios from Android smartphones, iPhone, Chromebook, tablets, iTunes and Windows phone and so forth. In order to keep captured music files organized, Apowersoft Free Online Audio Recorder gives you a way to add ID3 tags. iMusic is proved as a typical music downloader that provides users with all-in-one workaround to discover, record ad download charming music. 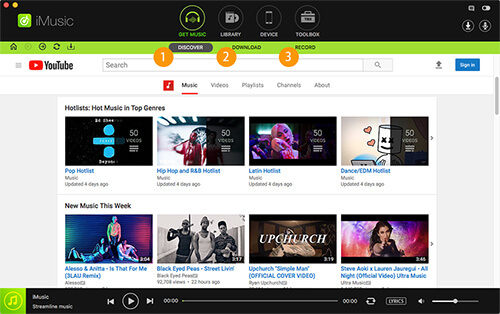 Taking the aid of it, you are allowed to download songs from over 3,000 music sites, such as YouTube, Spotify, Vimeo, Dailymotion, VEVO, Pandora, etc. Definitely, this Google Play Music MP3 downloader can assist you to directly download MP3 to your iTunes library. Amazingly, iMusic comes with capability to transfer music, podcasts, playlists, TV shows, iTunes U, etc. between iPhone, iPad, iPod touch and iTunes library by sparing no efforts. Other than that, it even facilitates you to connect iTunes library with Android phones to transfer music as well. Once you apply it to record and download Google Play Music, it will automatically filter ads and split audio tracks to separate files smartly. Leawo Music Recorder is one of the best Google Play Music downloader tools that attracts too much attention from a large number of music enthusiasts. It is applicable to either record music and audio from online music sources, for example, YouTube, Last.fm, AOL music, etc. 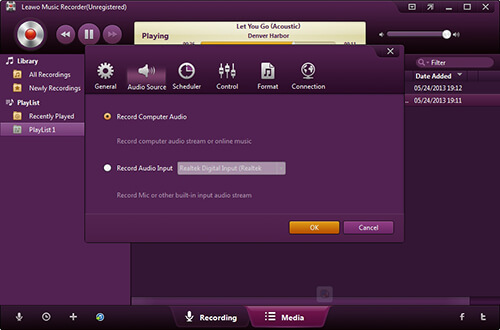 or grab microphone & other built-in input audio stream, such as Realtek Digital Input, Realtek High Definition audio, etc. With special-arranged task scheduler, Leawo Music Recorder gives you liberty to preset both recording start time and duration according to your own preferences. As same as others, it also includes full support to add music cover, artist, genre, composer and more tags info. Just one simple click, the recorded music and audio files can be applied to iTunes efficiently. To be honest, one of the optimal ways to download Google Play Music is to utilize a music downloader on Google Play. That is Google Play Music Manager. It can do a good job in downloading music from your Google Music Library with extra ability to upload songs from iTunes library as well as Windows Media Player. Notably, Google Play Music is currently only available for select territories and select account types. That means not everyone can access it smoothly. To get beloved songs on Google Play Music for offline playback, a trustworthy Google Play Music downloader is a must. Since you have certain familiarity with the aforementioned top 5 Google Play Music downloaders, you can pick up whichever you appreciate to get started to record and download Google Play Music without further worries.